Founded in 2003, Foyou Industrial Co., Ltd. is devoted in developing and producing high quality products and providing high class service. We are specialized in producing and providing glass, glass hardware & metal products, which are widely used in the fields of both home-decoration and industrial supplies. We have been exporting our products for more than 8 years. We are professional in production and experienced in export procedures. Our glass products include tempered glass, laminated glass, acid-etched glass, special shaped glass, mirrors. They can be used as shower glass, furniture glass, home electric appliance glass, decoration glass. We can supply glass hardware such as hinges, glass clips, towel bars, handles and other shower door hardware. We use only brass or stainless steel materials. The surface finishes include Shiny polished chrome, Satin finish, Brushed nickel, Gold, etc. We also produce Closet wire shelving, either long pieces (12feet or 3.6 meter each), or short pieces in your required lengths. The installation hardware like Side end brackets, Support braces, Back wall clips can be supplied separately. These products can help organize your closet cleanly and orderly. We are exporting our products to many countries and areas like USA, Canada, South America, Australia, New Zealand, Spain, Italy, South Africa and South-East Asia. 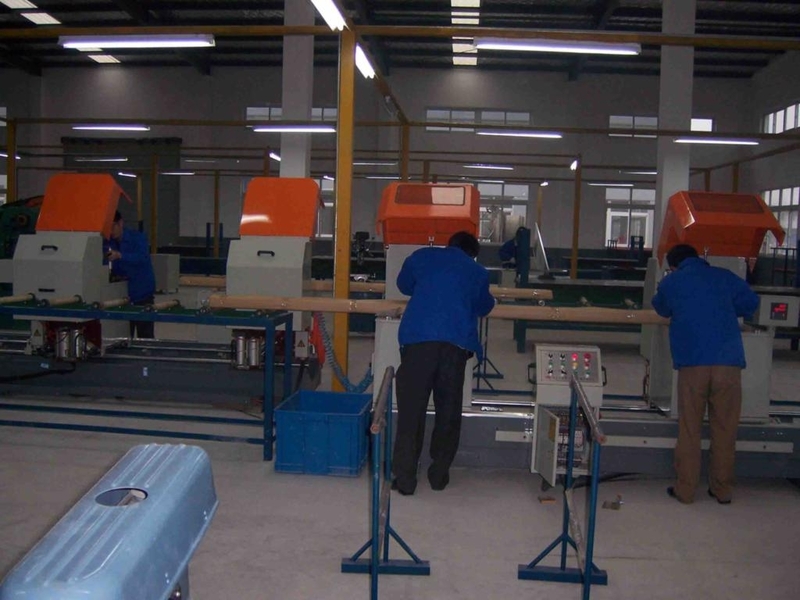 We can also arrange OEM production according to customer’s designs or drawings. We seek to become your business partner in the long term with our high-and-stable quality products and our prompt-and-excellent service!